The RLPO Have just completed three days’ intensive work on ‘My Fair Lady’ with conductor John Wilson. That was hard work: four rehearsals in two days and two shows yesterday. I was only on second trumpet for this show (making a rare appearance in that chair) and my face needed a day off today! I haven’t spoken to the other boys in the section, as we have two days off; but I imagine they will also be having a well earned rest. I remember David Mason, my teacher at the Royal College of Music saying that he’d wished that he had done less practice throughout his career, as too much playing sounded and felt as bad as too little too him. “… I wish I’d left it alone more, with hindsight, my boy.” he’d often say. This musical was written in 1956 by Alan Jay Lerner and Frederick Loewe. It is based on ‘Pygmalion A Romance in Five Acts’ by George Bernard Shaw, written in 1912. Shaw created a sharp lampoon on the class system inherent in British Society at the time. The Pygmalion effect refers to those with poor expectations who internalize their negative label, as against those with positive expectations who achieve greater success. Perhaps ‘you get what you expect’ is how many would describe the concept. Shaw uses changing speech patterns to hilarious effect. The Pygmalion effect was quite a popular subject in Victorian times. Indeed, W.S. Gilbert, one of Shaw’s influences had already used the subject in a play. In Greek mythology, Pygmalion was said to have been a sculptor who fell in love with a statue of Aphrodite which he had carved. Several ‘bigtime’ composers had wrestled with Pygmalion. Rogers and Hammerstein had abandoned the idea altogether, saying it was impossible. Lerner and Loewe had themselves given up on the project. They later renewed their efforts and wrote the musical after winning the rights to Pygmalion, in a convoluted legal battle with MGM. Noel Coward was the first to be offered the role of Henry Higgins but turned it down, suggesting the producers cast Liverpudlian Rex Harrison instead. After much deliberation, Harrison agreed to accept the part. Mary Martin was an early choice for the role of Eliza Doolittle, but declined the role. Young actress Julie Andrews was ‘discovered’ and cast as Eliza Doolittle after the show’s creative team went to see her Broadway debut in The Boyfriend. There was more intrigue and scandal surrounding the 1964 film version of the Musical. Warner Bros did not offer the role of Professor Higgins to Rex Harrison. They preferred Cary Grant who refused the role in principle, out of support for Rex Harrison. Grant told Warner Bros that if they did not cast Harrison, he would never appear in another movie for them again. Not only that, he wouldn’t go to see it either! Julie Andrews was passed over for Audrey Hepburn as Warner didn’t want to risk casting a stage actress in a film role. Hepburn’s singing was all dubbed by Mami Nixon. Julie Andrews got the role of Mary Poppins that year winning ‘Best Actress’ at the Oscars. Wow. It makes you breathless just reading it! Anyway, I had been looking forward to My Fair Lady. Described by many as ‘The Perfect Musical,’ it has always been amongst my personal favourites. Lerner and Loewe said that all they had to do to make Shaw’s play work, ‘was add what Shaw had happening offstage’. It contains hit, after hit, after hit. Wonderful music by Loewe, Lyrics by Lerner, fantastic dialogue by Lerner and Lerner/Shaw’s ‘so witty’ synopsis. The version at Philharmonic hall was based on the complete original stage musical with orchestrations by Robert Russell Bennett, Nick Lang and Jack Mason. The Royal Liverpool Philharmonic Choir provided the chorus and some of the stage actors. 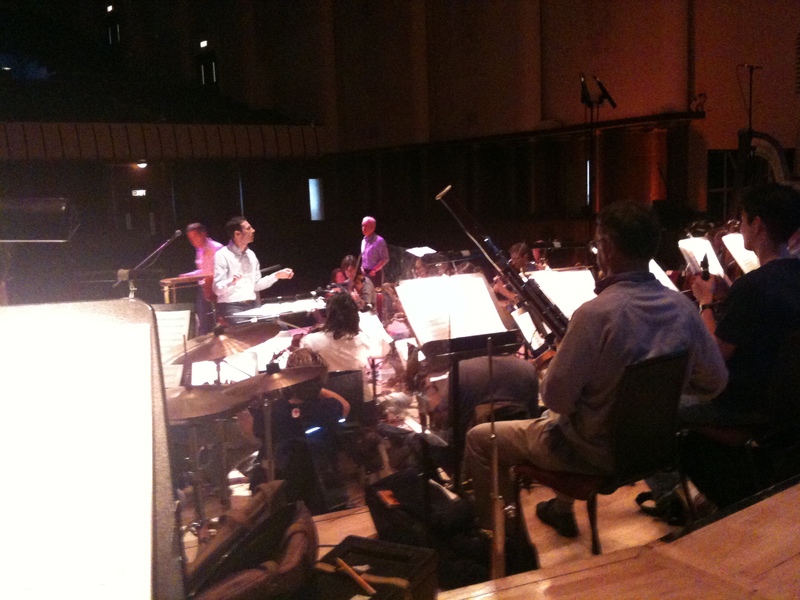 The RLPO provided a large, lush orchestra. The shows were presented semi-staged, in concert format. This was great for us as we were able to see all the action instead of being stuck in a theatre pit. Members of the orchestra were called upon to shout cockney off-stage parts. Anna Wheal, oboe [like Rex Harrison, also from Liverpool] had to shout in a Cockney accent, “‘ere, what’s a woman to do to get some sleep ’round ‘ere,” at Alfred P. Doolittle. She in turn was shouted at by Matt Skelton on drums, “Shat ap! Jast shat ap!” Even conductor and ‘musical theatre aficionado’ John Wilson got in on the act, by donning a policeman’s helmet to play a speaking part and also act as Master of Ceremonies at the ‘Transylvanian Ambassador’s Ball’. Particularly entertaining for me was the performance of the chorus as they donned their best hats and poshest accents for the ‘Ascot Gavotte’. 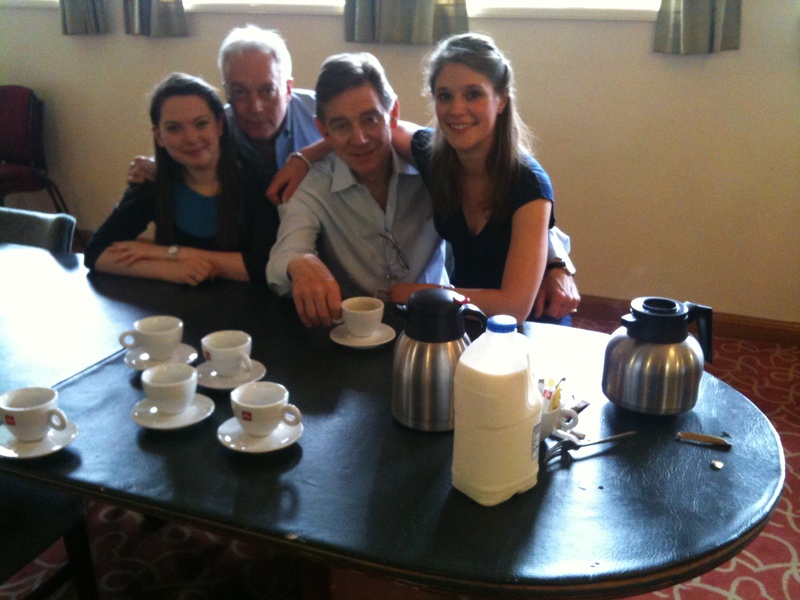 The Stellar cast led by Anthony Andrews, Annelene Beeching and Nicholas Grace were fantastic; as good as I have seen. The stage action was superbly directed by Kim Criswell. They brilliantly overcame some teething troubles with the amplification with some razor sharp ad libs and improvisation in the matinee showing. I remain transfixed by ‘Eliza’s Entrance’. This is the scene where she appears in a beautiful red ball gown with diamonds, every inch a lady; ready to go to the Embassy Ball. You could hear the audience gasp in admiration. What a moment! The performances received standing ovations from very appreciative audiences. My children loved it as did my invited guests. I managed to get some tickets for my new neighbours Caron, Angel and Honey who appeared to have a wonderful time reminiscing to this wonderful music. This entry was posted in About Brendan Ball, The Tour Blogs & Brendan's Solo Blogs and tagged "Royal Liverpool Philharmonic Orchestra", 'RLPO', alan Lerner, Anna Wheal, Anthony Andrews, Audrey Hepburn, Cary Grant, David Mason, Frederick Lowe, george bernard shaw, John Wilson, Julie Andrews, Kim Criswell, Mami Nixon, Mary Poppins, Matt Skelton, My Fair Lady, Noel Coward, Pygmalian, Rex Harrison, Royal College of Music, Royal Liverpool Philharmonic Choir. Bookmark the permalink. nice one brendan..glad the girls enjoyed it!! I had a request today. Someone was asking if I kept all my earlier ‘blogs’ in archive somewhere. 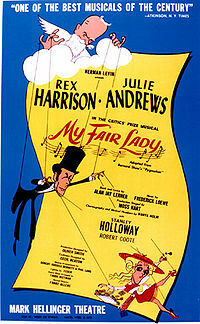 I said yes and was asked if I could repost the one about John Wilson doing ‘My Fair Lady’ with the RLPO – well here it is!